The Billington Partnership was very kindly asked by this client to install a bespoke hand carved limestone fireplace in their main room in their fabulous new house near Chiddingfold. 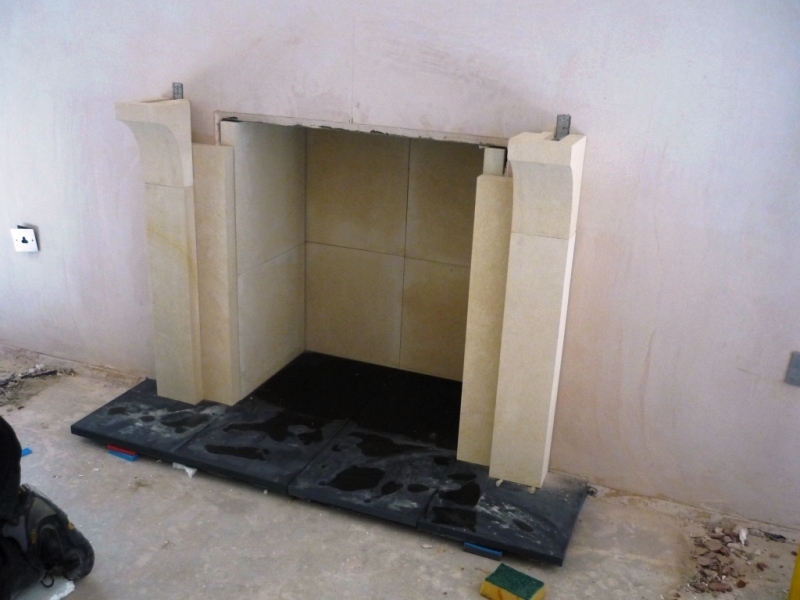 As part of the service we offered, we advised not only on the fireplace but also worked with the architect and the contractor to design and build the specific flue system for the chosen fireplace. As this was done early in the process, the flue system and ventilation required, were incorporated into the plans. 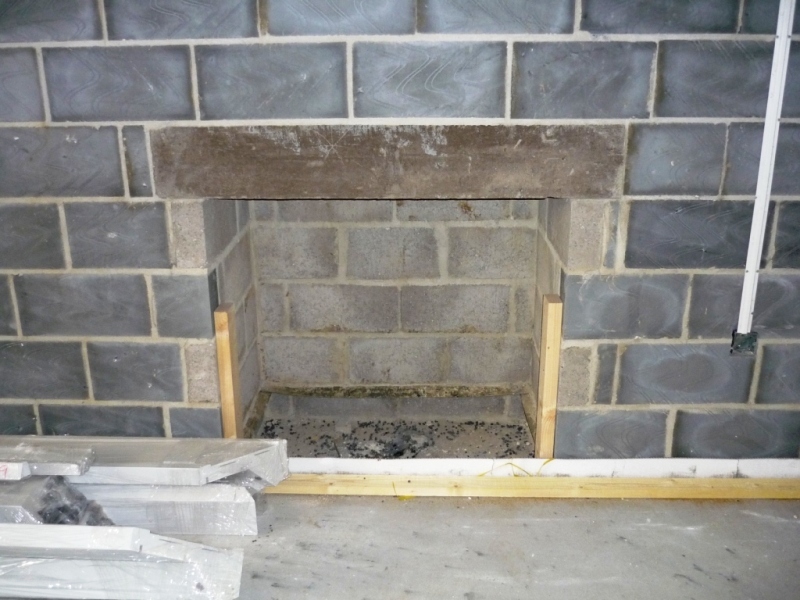 This meant no problems were encountered with the installation or with building regulations approval on ventilation. The fireplace itself is a bespoke hand carved fireplace in solid limestone including a 150kg header piece. 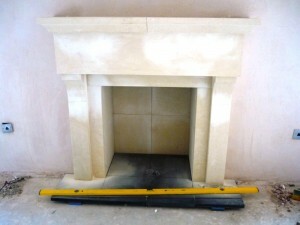 The slips and chamber are also in matching limestone. 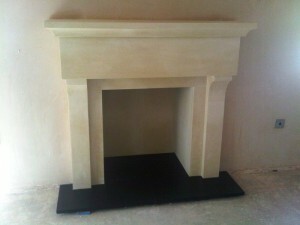 The hearth is made of honed black slate. As the images show, the back hearth is in two pieces and the front hearth in four sections. 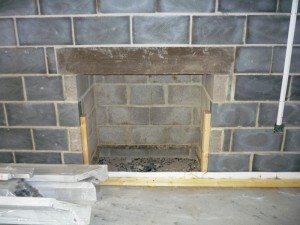 This allows for the necessary expansion when burning solid fuel. It is designed so that the lines match up with the inside of the slips. Of course as can be seen, the room is unfinished. 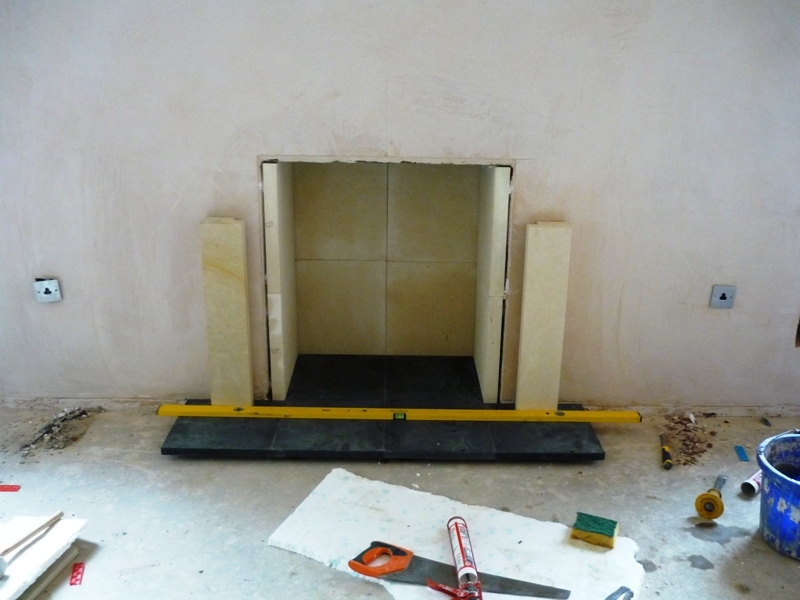 We raised the hearth so that the wood floor will fit just underneath it by a few centimeters. 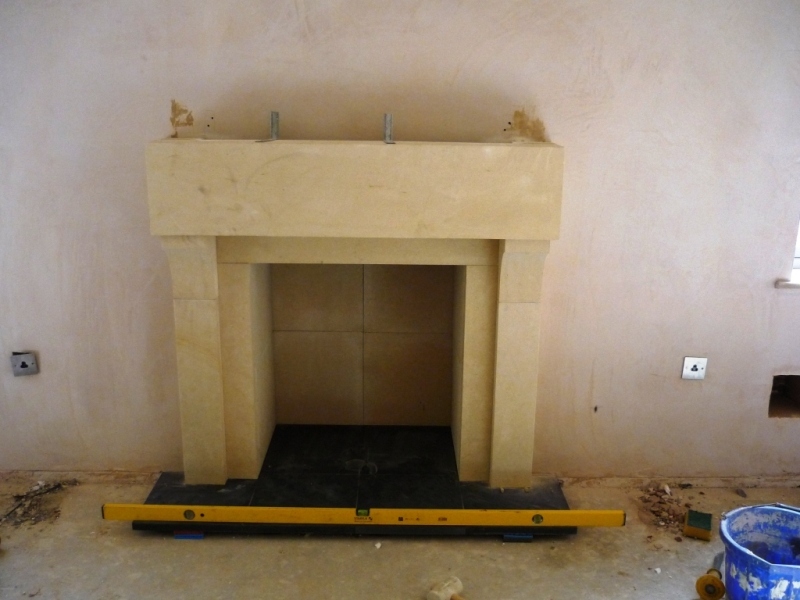 We feel that this gives a better finish when fitting a wooden floor rather than placing the wooden boards right to the edge and using quadrant or scotia to finish off. This is an impressive fireplace and will look even more impressive once the room has been finished. 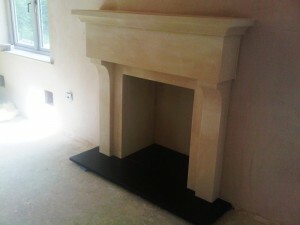 Finally, for more information on bespoke limestone fireplaces, please contact The Billington Partnership.